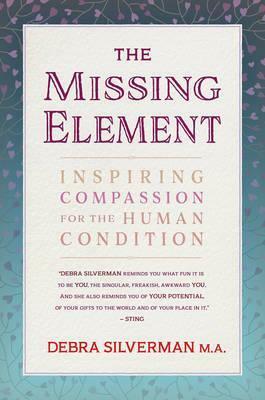 In The Missing Element, author Debra Silverman describes human nature in a compassionate and succinct way. Everyone longs to be understood and the author offers ways for us to get to know ourselves in depth with the wisdom of archetypes. The information in this book stands on the shoulders of our elders, who understood the four directions, the four elements, the four noble truths. Whatever pain you experience is specific to your personality type, based on the four elements. Your issues will repeat themselves again and again until you can see yourself and others from the compassionate vantage point that unites all of us. You will understand that your life and all its stories were designed by your soul to get your attention right now. It is inviting you to seek the wisdom of the ages to help you grow... thatâ€™s why you found this book.